This article will show you how to install the Stacks Docklet onto your Windows OS, which will give you either the Grid or Fan functions (like Leopard). Your productivity will increase and your friends will be asking how you did it. 2. Click on the "Free Download" button. 4. 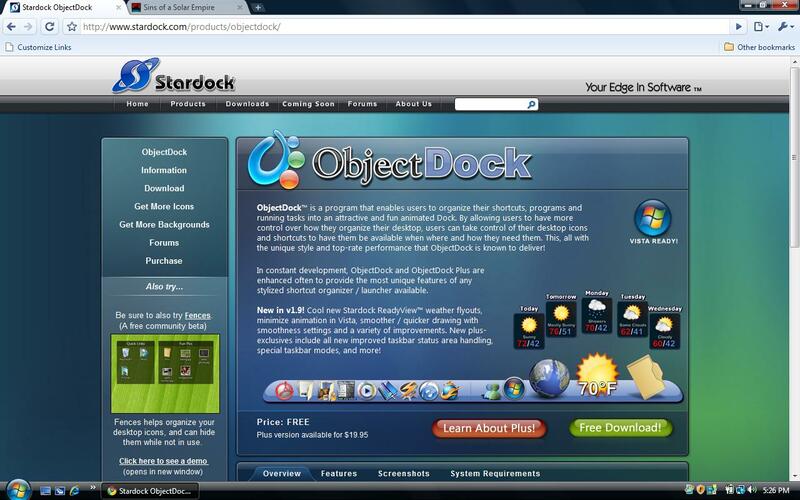 Open from your program menu or the ObjectDock shortcut on your desktop. 5. Right-click in blank space and click dock settings. Adjust the icon sizes to preference. Set the background to Glass Bent. Drag the transparency bar all the way to transparent. 8. Extract the .zip file. 10. 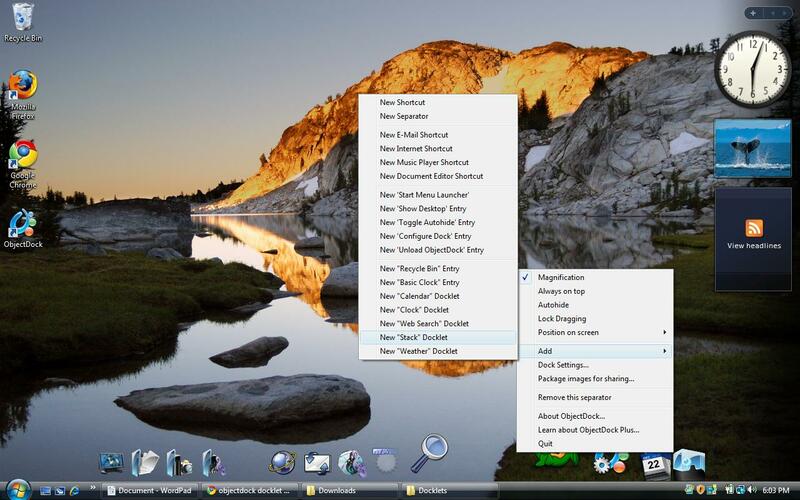 Inside the folder you just extracted is a folder called StackDocklet, move that into the Docklets folder you just found. 11. Right-click in the blank space of the ObjectDock and click Add, then click "New 'Stack' Docklet". 12. A new icon will appear, click it. At the 'Folder' field, browse to an important folder, such as Documents. At the 'Icon' field, browse for a relevant Icon (many come with ObjectDock, or you can download others). At the 'Show Icon' drop-down box, select 'Always'. At the 'Mode' drop-down box, select 'Fan'. That's it, now click on your new docklet and it will fan out!